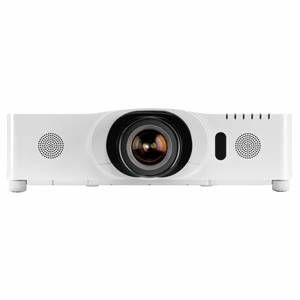 The CP-WU8440 projector is geared up for simple and user-friendly functionality in any environment. With a convenient motorised lens shift, and a central lens position, images can be seamlessly adjusted and moved at the touch of a button. Plus, with a wide range of optional lenses, the CP-WU8440 can adapt to any environment, from conference rooms and lecture theatres, to museums or anywhere requiring a creative solution.